With the top grossing tour of the year and a No. 1 Billboard 200 album (“Midnight Memories”), One Direction claimed honors as Billboard‘s 2014 Artist of the Year. 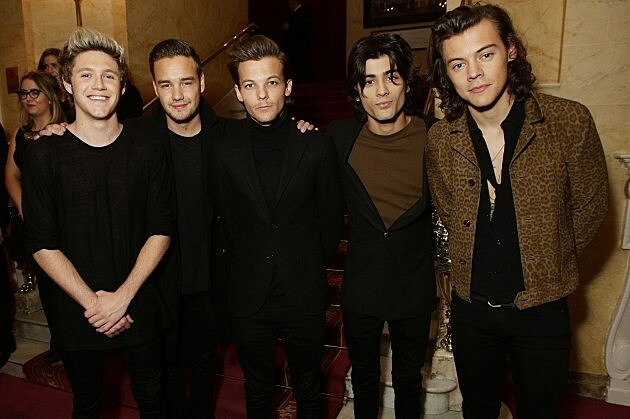 One Direction’s “Midnight Memories” included the hit “Story of My Life.” The English-Irish group includes Harry Styles, Zayn Malik, Niall Horan, Liam Payne and Louis Tomlinson. The band is only the ninth group to take the honor since Billboard started a year-end overall artist category in 1981, with R&B quartet Destiny’s Child — Beyoncé Knowles, LaTavia Roberson, LeToya Luckett and Kelly Rowland — the last group to do so in 2001, Billboard announced Tuesday. Other top honors included Disney’s “Frozen” soundtrack taking the Billboard 200 Album of the Year, becoming the first soundtrack to lead the list since 1998’s monster “Titanic” album. The Billboard Hot 100 Song of the Year is the infectious “Happy,” by Pharrell Williams. Originally written for the 2013 animated film “Despicable Me 2,” the track garnered an Academy Award nomination for best original song and spent 10 weeks at No. 1 on the weekly Hot 100 chart. Williams was also named both Hot 100 Songwriter and Producer of the Year. Capping off a breakthrough year, powered by the megahit song of the summer winner “Fancy” as well as her top three-peaking album “The New Classic,” Australian rapper Iggy Azalea earned the nod of Billboard’s New Artist of 2014.